Keeps you feeling fuller for longer keeping hunger at bay thus stopping the longing for sugary snacks. 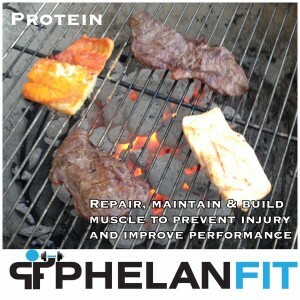 Without a sufficient amount of protein your body will begin to break down muscle tissue forenergy while exercising. (Catabolism) THIS IS NOT GOOD! In order to successfully control your weight and eat healthily the timing of your food intake will play as big of a role as the type of food you are eating. 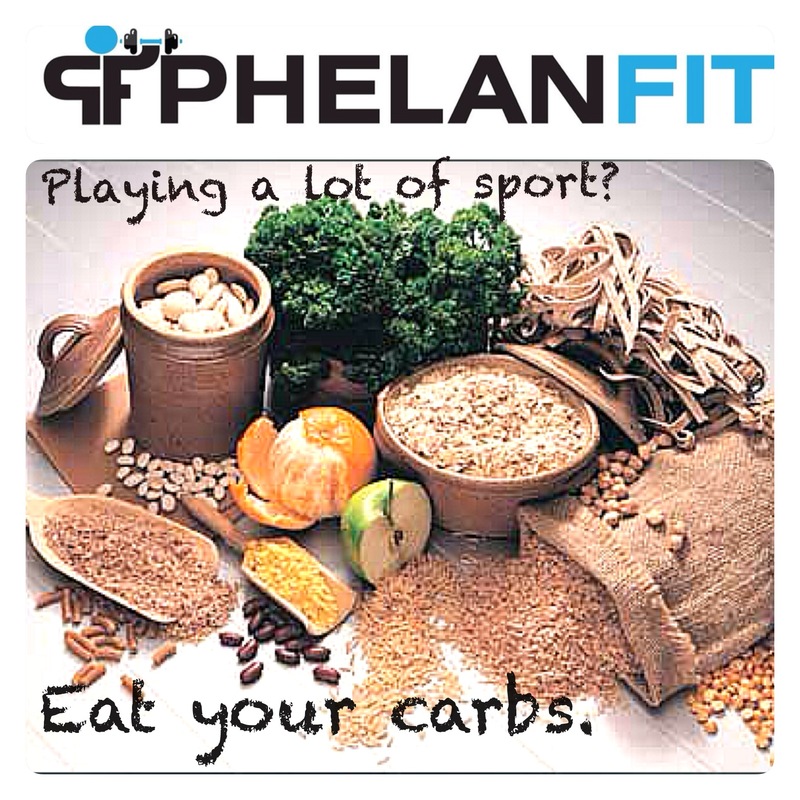 You should limit your carbohydrate intake so that you take in carbohydrate around exercise. This means that you will need to eat carbohydrates roughly 2-3 hours before a training session and as quickly as you can afterwards (within 30 -60mins). There will be little need to eat them other than at these times. In general the time you exercise is down to your own personal preference or a time designated by your team (if you are going to group sessions or playing with a team). There is research to suggest that training in the evening and then eating carbohydrate in the hours after your workout benefits body composition. There is also research that also suggests strength training in the morning boosts your metabolism for hours after thus benefiting body composition also. What should be in your meal? fruit and a small amount of carbohydrate. It is recommended that you perform steady state exercise (brisk walk, jog, bike ride) for 30-45 minutes before you eat anything for breakfast. This will make the most of the fat burning state that you wake up in. For breakfast you will then eat according to the table above. If you intend to resistance train in the evening then you shouldn’t have any carbs until after the session for the last meal of the day. 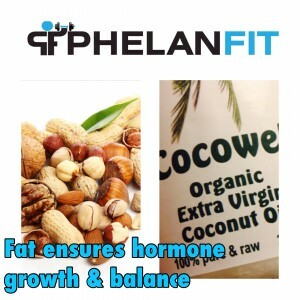 You are trying to lose body fat – not muscle. 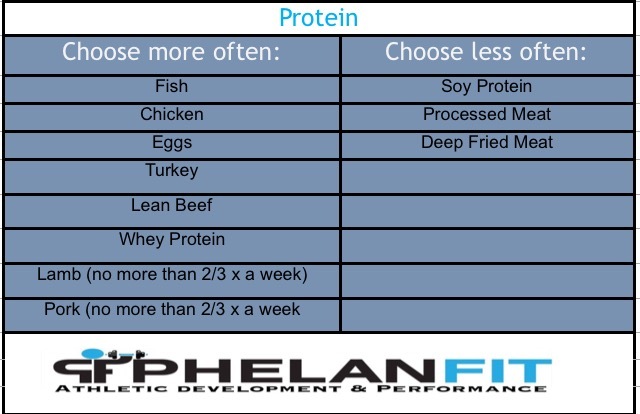 So keep your protein intake well above 2g per kg of body weight. For your body to burn fat you must eat fat. 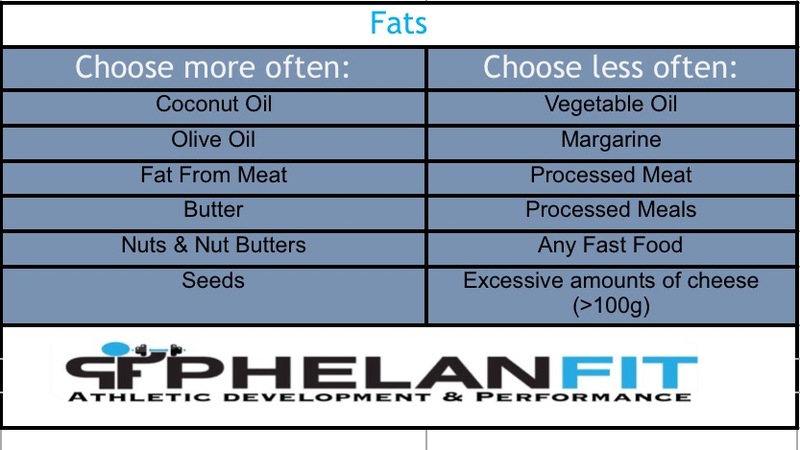 Do not be afraid of fat in your diet (keep to the list ofgood choices earlier). Eat lots and lots and lots of vegetables. They will fill you up and help you feel fuller for longer. You have to be disciplined in order to lose body fat so be prepared to commit to your goal. After 3 weeks of low carbohydrate dieting you will need to have one day a week that incorporatescarbohydrates at every meal. 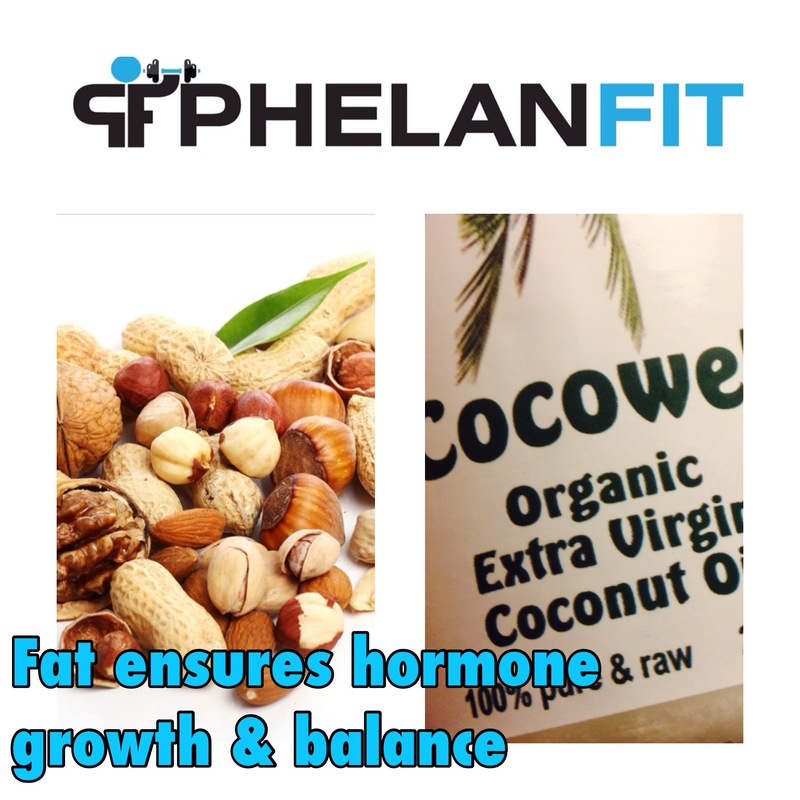 This will help reset your metabolism and boost glycogen stores in thebody. It is vital to maintain the muscle mass that you have worked hard for. In order to maintain muscle and not put on fat you will have to be aware of what you are eating at all times and think carefully about the content of your meals. You will need to eat a fair amount of protein & carbohydrate straight after your workout in order to maximise muscle gains from the resistance workout. 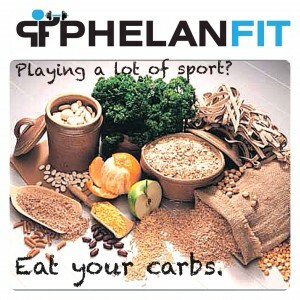 It is recommended that you eat 1g per kg of bodyweight of carbohydrate post workout. Your body breaks down muscle for energy during exercise so it is vitally important that you consume protein and carbohydrate immediately after exercise. In order to maintain muscle mass it is important to keep your workouts short and intense. Any session over 1 hour could lead to accelerated muscle breakdown. After 1 hour of training, cortisol levels are raised even higher than usual (muscle breakdown) and testosterone levels get lower. The meal before you exercise should contain a decent amount of carbohydrate so that you can train at an intense level that will be required to build muscle mass. The intensity level of exercise dictates the amount of muscle building hormones released by your body. This will lead to subsequent muscle building. Don’t be afraid of carbohydrates (potatoes, rice and fruit), you will need them to maintain muscle and keep muscle building nutrients entering muscle cells via insulin. If you are eating a meal high in carbohydrates (>50g), try not to add extra fat (i.e. oils, mayo, houmous) as it may be stored in fat cells rather than used for energy. Still be conscious of the amount of food you are eating. Maintaining muscle is hard to do and not a licence to eat what you want. Be disciplined in your approach and don’t over consume food. 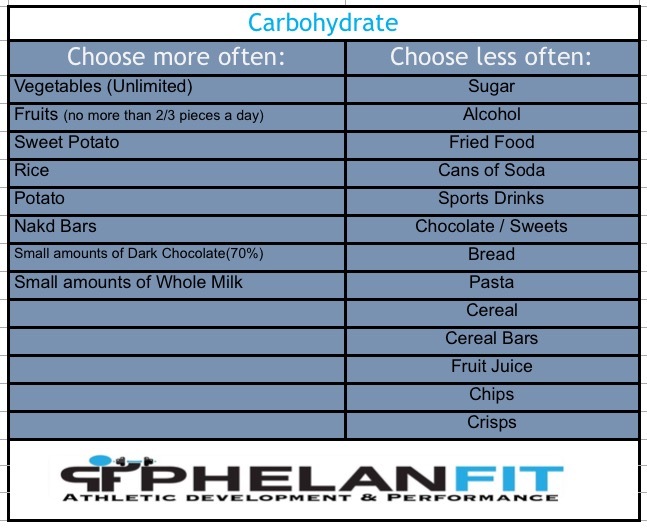 Try and eat the majority of your daily carbohydrate requirements after your workout in order to maximise muscle building and minimize fat storage. A protein supplement (such as whey powder) may be useful to have in between meals especially if you are trying to ‘bulk up’.